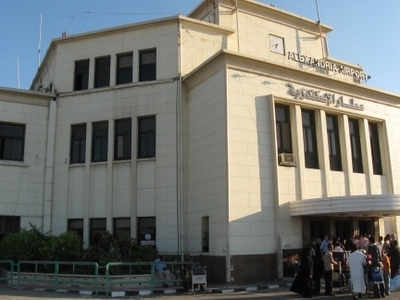 The Alexandria International Airport, also known as the El Nouzha Airport is located at a distance of 7 kilometers to the south-east of Alexandria City located in the North African Arab Republic of Egypt’s north-central coastline by the Mediterranean Sea. 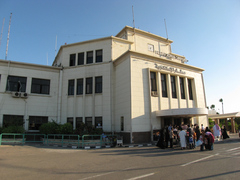 It is a public airport owned and operated by the government of Egypt offering flights to domestic destinations within the country and across the Arab World. Situated at an elevation of 6 feet below sea level, this airport is having a single passenger terminal and is suitably capable of serving 1,200,000 passengers every year. With a couple of asphalt surfaced runways measuring 7,221 feet and 5,909 feet, this airport has remained handicapped due to these short lengths permitting only aircrafts like the Airbus A320, Boeing 737-800, McDonnell Douglas MD-90-30 and the Embraer E-170s to utilize the facilities available here. Egypt Air has been the largest airline using these services at the Alexandria International Airport by operating over 50 domestic and regional flights every week. However, this airport will soon be closed for commercial operations in Q1 2001 to allow up-gradation and major renovation works undertaken by the Egyptian Ministry of Civil Aviation. A major overhaul is planned costing US$120 million, which includes lengthening of the main runway and construction of a new passenger terminal. Set to ensure a boost for the tourism and trade industry around Alexandria and the Nile Delta regions, this airport is likely to be shut for traffic for almost a couple of years.. Meanwhile, all the scheduled flights from the Alexandria – El Nouzha Airport are expected to be diverted to the Alexandria – Borg el Arab Airport situated at a distance of 40 kilometers from downtown Alexandria. Here's the our members favorite photos of "Airports in Alexandria". Upload your photo of Alexandria International Airport! Tanja Saso is the only Touristlink member to visit Alexandria International Airport. Have you been here? Click here to save it.